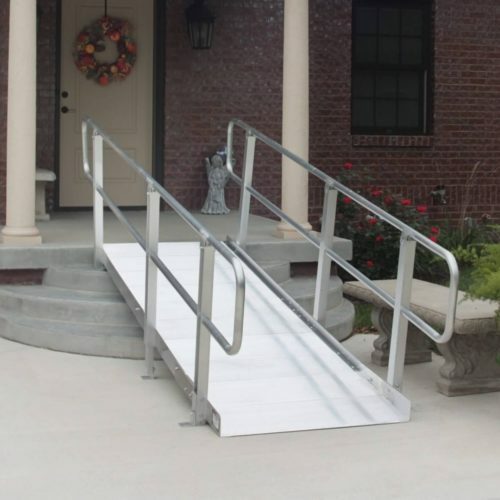 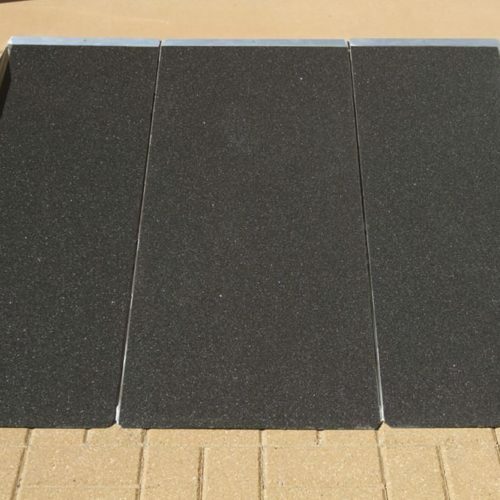 Wheelchair ramps come in many shapes and sizes, including aluminum ramps, steel ramps, and even light-weight fiberglass ramps. 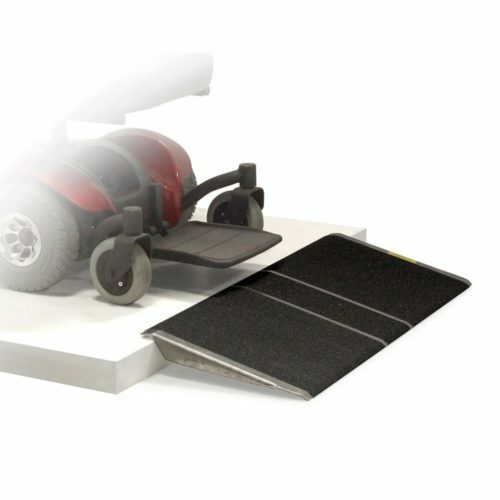 Many of the ramps are foldable (some fold in half, others into the shape of a suitcase). 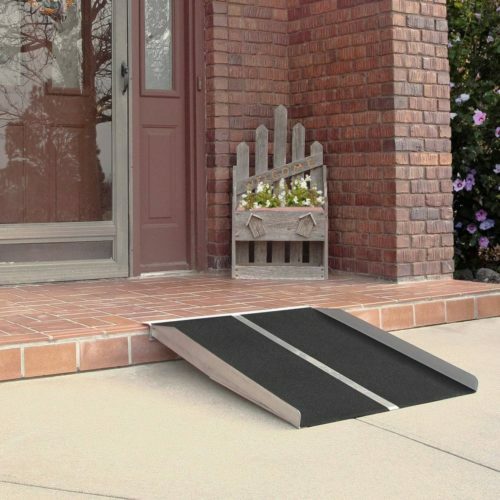 Many ramps are portable. 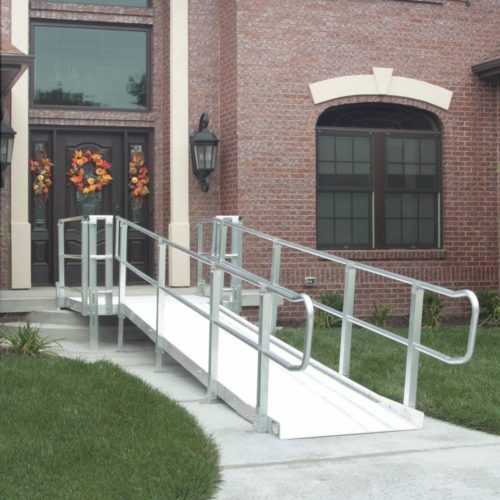 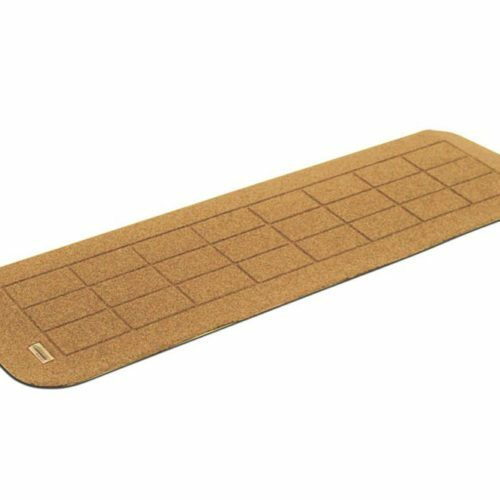 Modular ramps are considered fixed wheelchair ramps. 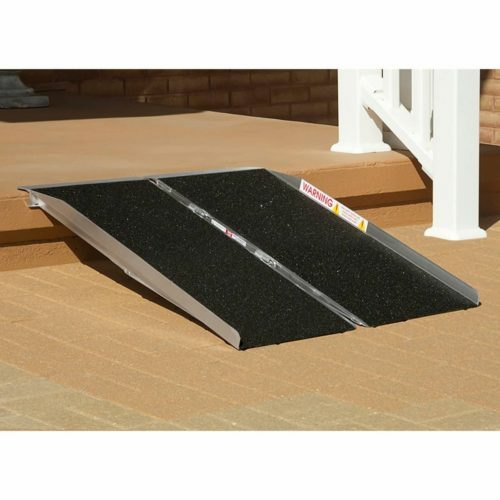 Threshold ramps are designed to allow wheelchairs, scooters, and rolling walkers to more easily transition over the threshold of a door. 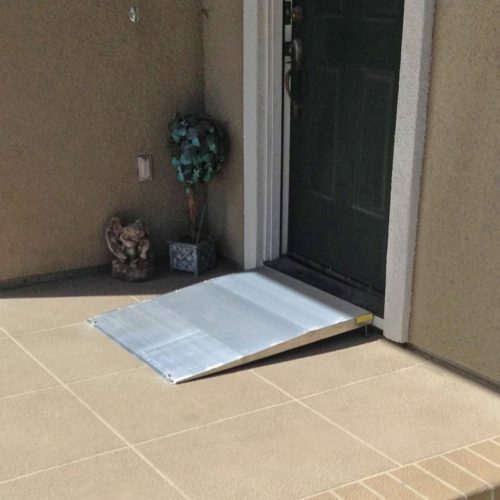 Even the slightest 1 inch rise in a doorway threshold can be a major obstruction for a wheeled device. 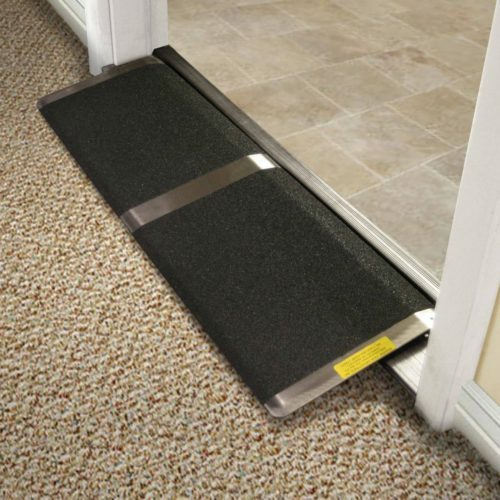 Threshold ramps help prevent falls and increase mobility. 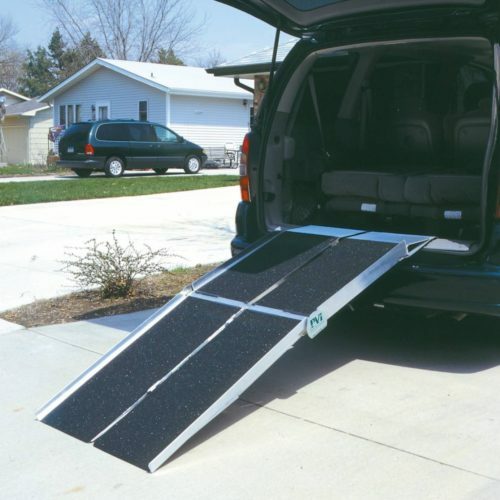 Our ramps come in varying lengths. 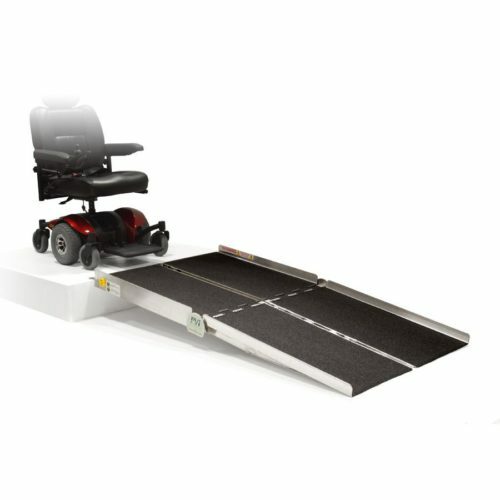 Use our ramp length calculator to determine how long your ramp should be based on the distance from the loading surface to the ground. 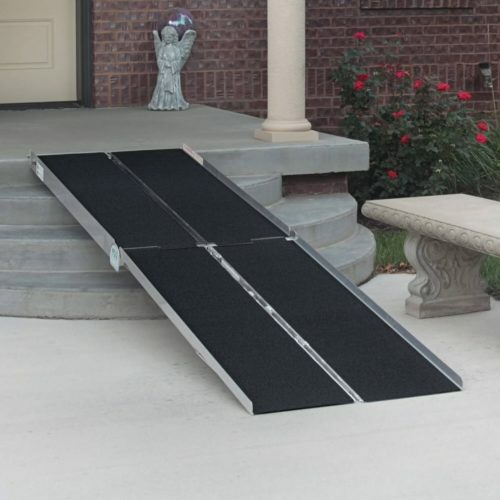 7′ – 12′ Ramps rent for $10 per foot, per month, for a minimum rental of three months. 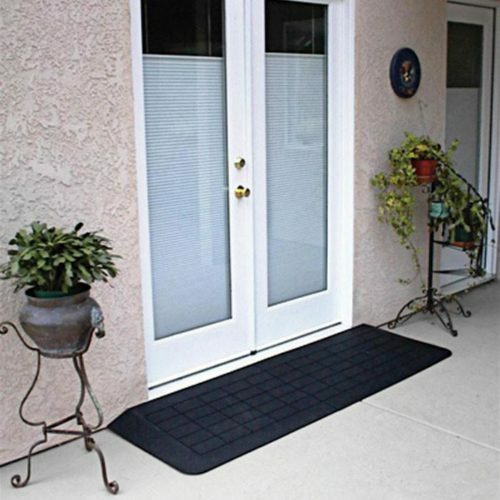 We can deliver and install for an additional $75 fee.